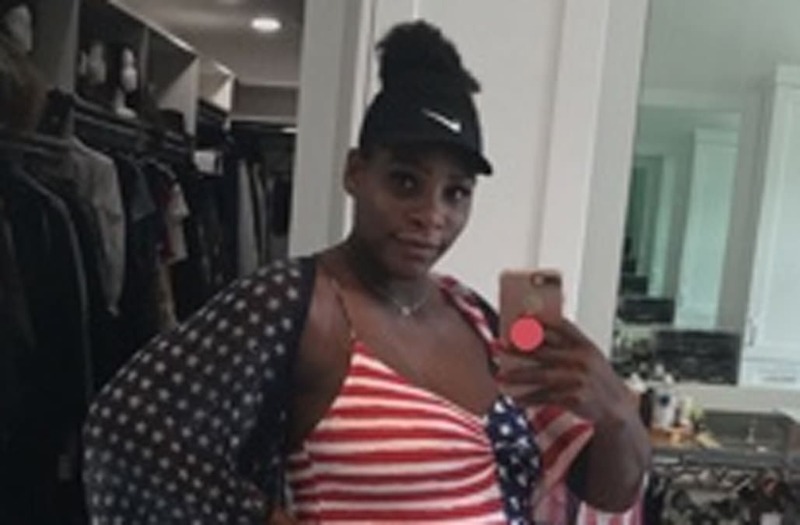 Pregnant Serena Williams shows growing baby bump in American flag swimsuit -- see the patriotic pics! 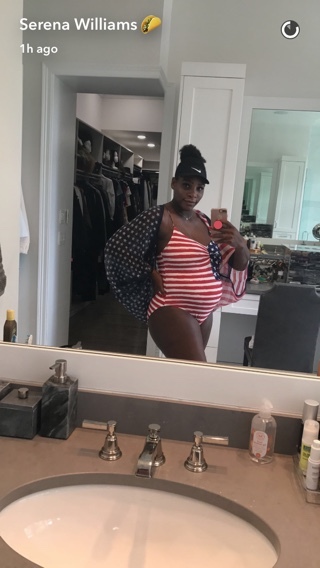 Serena Williams is getting patriotic with her pregnancy! The tennis star, who is expecting her first child with her fiancé, Reddit co-founder fiancé Alexis Ohanian, took to Snapchat on Monday to show off her growing baby bump while donning a red, white and blue one-piece swimsuit. I pledge allegiance to the bump! It's good to see the 35-year-old Grand Slam winner continue her babymooning, after her May trip to Monaco, where she chilled seaside with friends and family. WATCH: Pregnant Serena Williams Looks Fabulous While Babymooning in Monaco -- See the Pics!